Planners, Designers, and Coordinators possess unique abilities, training, talent, and experience. Capabilities range from the ability to develop strategies, concept designs, handle logistical arrangements, to wedding weekend management/execution. 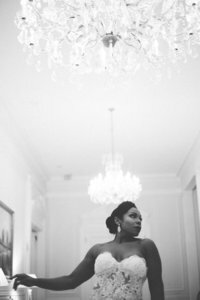 The key point is understanding that who we are in the wedding industry tends to be birthed out of our passions, styles, education, gifts, abilities, and continued training. Each role can also be considered an ability and/or service provided. However, not every Planner is a Designer. Not ever Designer is a Planner or Coordinator. Not every Coordinator is a Planner or Designer. Confused yet? Here is a general idea of what each resource embodies. A Wedding Planner – A person with the ability to understand and define the scope of details of your wedding. A wedding planner will develop a clear strategy of tasks, coordinate vendor meetings, organize & execute tasks, delegate, and work with the necessary vendors/resources to accomplish the set goals. They will also help you stay within budget and help you manage the overall logistics during the planning process. A Wedding Designer – An event designer has the ability to conceptualize the entire look and feel of a wedding from the ceremony backdrop, social hour, reception table decor, linen styles, stationary, cake, favors, lighting, furniture, etc, while having access or partnerships with the right vendor/resources that can execute the conceptualized vision. 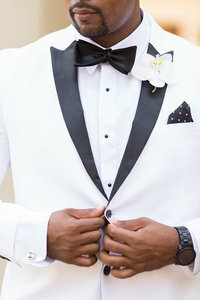 This person is a creative with vision and ideas to bring a cohesive and stylish look to your magical and special day. A Wedding Coordinator – A person who is hired to handle the final logistics for the wedding day. That includes organizing the wedding rehearsal, creating an itinerary for the actual wedding day, and facilitating the flow of the day. A wedding day coordinator is tasked with the actual wedding day execution after the Client has completed all of the wedding planning details, hired all the vendors, and created and finalized the entire design. Simply, it’s important to do your research, view his or her work in detail, and ask as many questions as possible to assess their capabilities. Each person has the responsibility to assess their own gifts and abilities to determine what role they will carry as a Planner, Designer, Coordinator or serve as an all in one provider. What’s even more important for the potential client and potential consultant is to determine if we are a good fit for one another. In additional to understanding your needs and their capability, you both will be building a long term relationship with each other to plan one of the most important days to the beginning of your forever!